Masalai Press is a small publisher, focusing on folklore, Pacific Islands and linguistics. Inguiries can be sent to Masalai Press by e-mail. Masalai Press is especially interested in publishing books on Papua New Guinea. Masalai Press is in partnership with the University of Papua New Guinea Press and Bookshop. We currently have two projects underway: The first project has been republication of the English-language One Thousand One Papua New Guinean Nights as 10 volumes with both Tok Pisin and English side-by-side including original artwork from PNG artists. As of March 2010, 5 of these volumes have been published: 2 volumes were published in PNG and 3 volumes were published in the US, all have been published under the UPNG Press imprint. The second project has been republication of PNG law books that have been previously out of print. The first title, Criminal Law and Practice of Papua New Guinea, was republished in 2009 in the US. The second title, Selected Laws of Papua New Guinea has been reprinted in 3 volumes. Two more law books are forthcoming. One Thousand One Papua New Guinean Nights: Folktales from Wantok Newspaper. Volume 1: Tales from 1972-1985. Edited and translated by Thomas H. Slone. 528 pages, 8-1/4 by 11 inches, trade paper. List price: $39.95. ISBN 0-9714127-0-7. One Thousand One Papua New Guinean Nights: Folktales Stories from Wantok Newspaper. Volume 2: Tales from 1986-1997, Indices, Glossary, References, and Maps. Edited and translated by Thomas H. Slone. 613 pages, 8-1/4 by 11 inches, trade paper. List price: $44.95. ISBN 0-9714127-1-5. Feminist Folktales from India. By Qiron Adhikary (2003). Oakland, CA: Masalai Press, 97 pp., 6 by 9 inches, paper. List price $19.95. ISBN 0-9714127-3-1. Prokem: An Analysis of a Jakartan Slang. By Thomas H. Slone (2003). Oakland, CA: Masalai Press, 95 pp., 5 by 8 inches, trade paper. List price $19.95. ISBN 0-9714127-5-8. Rasta Is Cuss: A Dictionary of Rastafarian Cursing. By Thomas H. Slone (2003). Oakland, CA: Masalai Press, 95 pp., 5 by 8 inches, trade paper. List price $9.95. ISBN 0-9714127-4-X. 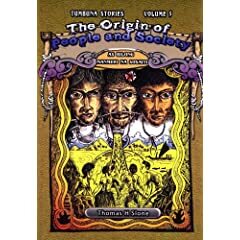 The Origin of People and Society / As Bilong Manmeri Na Sosaiti (Tumbuna Stories of Papua New Guinea, 5). Edited by Thomas H. Slone, Illustrated by Peter Leo Ella (2008). University of Papua New Guinea Press, 146 pp. List price $19.95. ISBN 9980939044. Published in Papua New Guinea. In English and Tok Pisin. 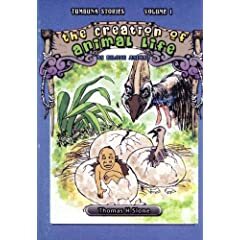 The Creation of Animal Life / As Bilong Animal (Tumbuna Stories of Papua New Guinea, 1). Edited by Thomas H. Slone, Illustrated by Jada Wilson (2008). University of Papua New Guinea Press, 132 pp. List price $19.95. ISBN 9980939001. Published in Papua New Guinea. In English and Tok Pisin. Buy from Amazon.com Criminal Law and Practice of Papua New Guinea. By Donald R. C. Chalmers, David Weisbrot, Salamo Injia, and Warwick John Andrew (2009, reprint). University of Papua New Guinea Press, 752 pp., hardcover. List price $159.95. ISBN 9980939540. Published in the United States. Ghost Stories: Ol Stori Bilong Tewel (Tumbuna Stories of Papua New Guinea, Volume 3). Edited by Thomas H. Slone, Illustrated by Jada Wilson (2009). University of Papua New Guinea Press, 138 pp. List price $19.95. ISBN 9980939028. Published in the United States. In English and Tok Pisin. Creation of the Cosmos and Earth / As Bilong Ol San, Mun, Sta na Graun (Tumbuna Stories of Papua New Guinea, Volume 4). Edited by Thomas H. Slone, Illustrated by Amos Manasau (2009). University of Papua New Guinea Press, 144 pp. List price $19.95. ISBN 9980939036. Published in the United States. In English and Tok Pisin. Creation of Animal Characteristics / As bilong ol Samting bilong Animal (Tumbuna Stories of Papua New Guinea, Volume 6). Edited by Thomas H. Slone, Illustrated by Junior Rorosi (2009). University of Papua New Guinea Press, 150 pp. List price $19.95. ISBN 9980939052. Published in the United States. In English and Tok Pisin. 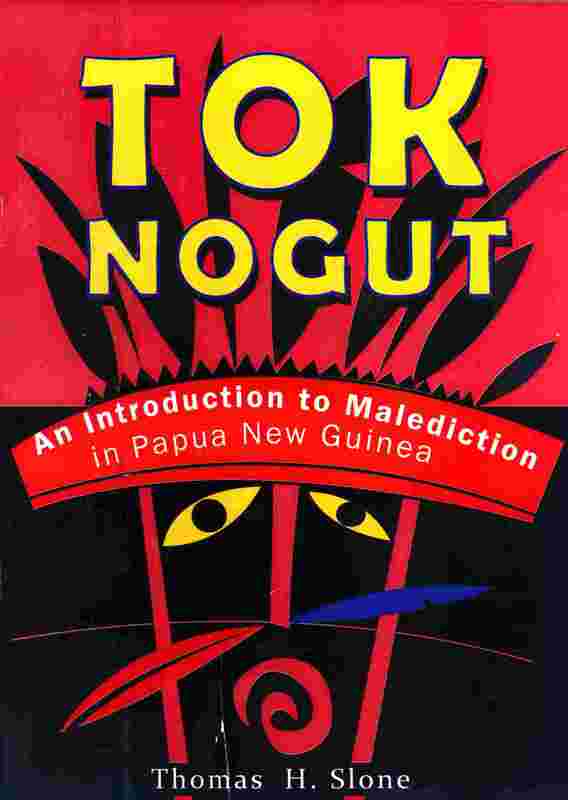 Tok Nogut: An Introduction to Malediction in Papua New Guinea (2009) by Thomas H. Slone. Special limited reprint by the University of Papua New Guinea Press in cooperation with Maledicta Press and Masalai Press. The original edition is available in volume 11 of Maledicta Journal. Selected Laws of Papua New Guinea University of Papua New Guinea Press, 820 pages in 3 volumes (2010, reprint). Papua New Guinea Law Reports (2003) edited R. W. James, published by the School of Law, University of Papua New Guinea, 442 pp. These are the decisions of the Papua New Guinea Supreme Court for the calendar year 2003. The book has been published in 2010 and is only available directly from the University of Papua New Guinea Bookstore or from Masalai Press. Other volumes are expected to be published in the near future.] The Annotated Constitituion of Papua New Guinea (reprint, forthcoming) by Brian Brunton and Duncan Colquhoun-Kerr, University of Papua New Guinea Press, 596 pp. The Devil and the Two Angels by Andrew V. Solien, illustrated by Peter Leo Ella (2010, forthcoming), 28 pp. University of Papua New Guinea Press. One Thousand One Papua New Guinean Nights is a two-volume collection of folktales that were published in Papua New Guinea’s Wantok newspaper. The folktales were originally published in Tok Pisin, the pidgin English language of Papua New Guinea. The two-volume collection presents the complete set of 1047 folktales that were originally published from 1972 through 1997 in Tok Pisin. 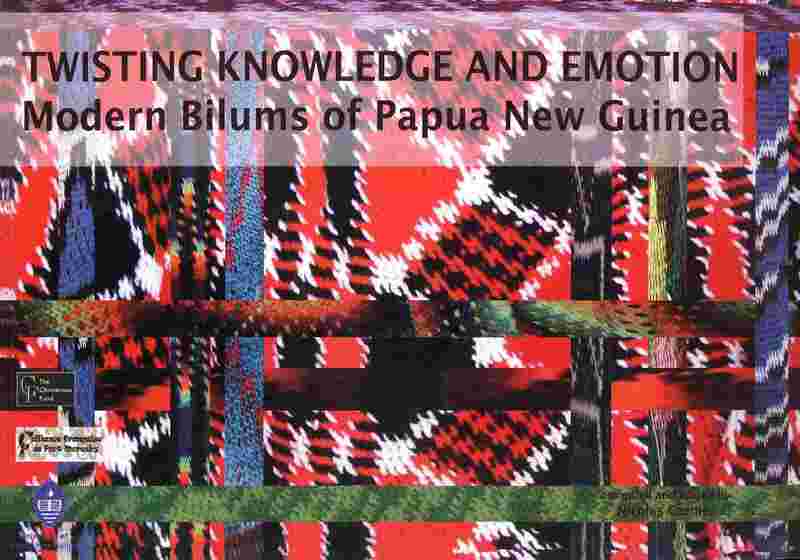 This collection is one of the largest general collections of Papua New Guinean folktales; all of Papua New Guinea’s provinces are represented and approximately 35% of Papua New Guinea’s 700 language/culture groups are represented. The first volume presents 500 folktales. The second volume presents the 497 folktales, indices, a glossary, references, a gazetteer and maps. The folktales have been extensively indexed in the volumes and the indices are presented in this volume. Indices are given for author, village, original language (or culture group), province, flora and fauna, and folklore motif. Look here for further information on this book, including the on-line indices. Look here to see what masalai means. Last modified December 16, 2010.